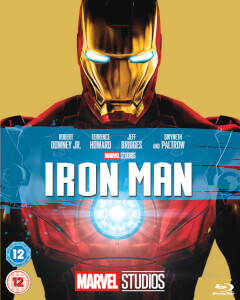 Iron Man: Suit up for action with Robert Downey Jr. in the ultimate movie adventure, Iron Man! When jet-setting genius-industrialist Tony Stark is captured in enemy territory, he builds a high-tech suit of armour to escape. Now he's on a mission to save the world as a hero who's built, not born, to be unlike any other. Co-starring Terrence Howard, Jeff Bridges and Gwyneth Paltrow, it's a fantastic, high-flying journey that's massively entertaining. Incredible Hulk: This explosive, action-packed adventure, in one of the all-time msot popular super hero sagas, unfolds with a cure-in-reach for the world's most primal force of fury: The Incrediblr Hulk. Scientist Bruce Banner (Edward Norton) is living in the shadows, scouring the planet for an antidote. But the warmongers who dream of abusing his powers won't leave him alone - now will his need to be with the only woman he has ever loved, Betty Ross (Liv Tyler). Our brilliant doctor is ruthlessly pursued by the abomination, a nightmarish beast of pure adrenaline and aggression whos powers match The Hulk's own, and a fight of comic-book proportions ensues, threatening New York City with total destruction! 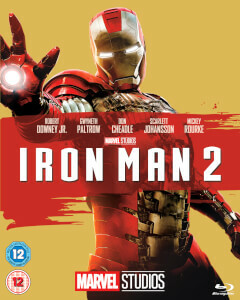 Iron Man 2: Get the ultimate cinematic experience powered by action, humour and supercharged special effects as Robert Downey Jr. returns in Iron Man 2. Now that Tony Stark's Super Hero secret is revealed to the world, he must once again suit up in order to face his most dangerous enemy yet - but not without a few new allies of his own! Thor: The world has many heroes… but only one is a god. When the arrogant warrior Thor (Chris Hemsworth, Star Trek) is banished to Earth from his homeworld of Asgard, he must fight to reclaim his lost powers. Pursued by an invasion force sent to destroy him, the fallen God of Thunder must rise to the battle and learn what it takes to become a true hero. Natalie Portman and Anthony Hopkins also star in this blockbuster adventure critics have called a rousing, entertaining thrill. Captain America: Captain America leads the fight for freedom in the action-packed blockbuster starring Chris Evans as the ultimate weapon against evil! When a terrifying force threatens everyone across the globe, the world's greatest soldier wages war on the evil HYDRA organisation, led by the villainous Red Skull (Hugo Weaving). Critics and audiences alike salute Captain America: The First Avenger as total suspense, action and fun! Avengers Assemble: Marvel Studios makes cinematic history as it unites the Super Hero team of a lifetime. Iron Man (Robert Downey Jr.), Captain America (Chris Evans), The Hulk (Mark Ruffalo) and Thor (Chris Hemsworth) assemble together for the first time ever in this epic, action-packed blockbuster - alongside Black Widow (Scarlett Johansson), Hawkeye (Jeremy Renner) and Nick Fury (Samuel L. Jackson). Director Joss Whedon creates an unprecedented masterpiece that has become a global phenomenon. Iron Man 2: S.H.I.E.L.D. Data Vault: An In-Depth Look at the Marvel Cinematic Universe HD, Commentary by Director Jon Favreau, And More! 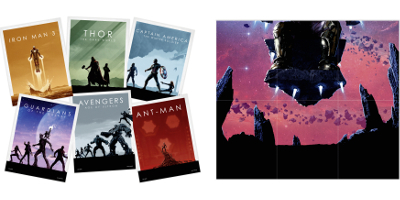 Captain America: Outfitting A Hero HD, The Assembly Begins HD, And More! 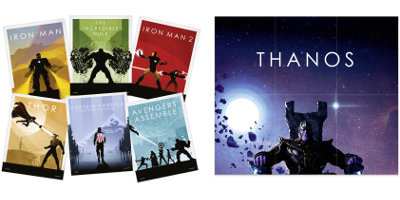 De box set is een geweldig idee om alle Marvel films te collecten. In uitstekende staat en op tijd geleverd!. De prijs is daarenboven nog eens vele malen goedkoper dan elders.